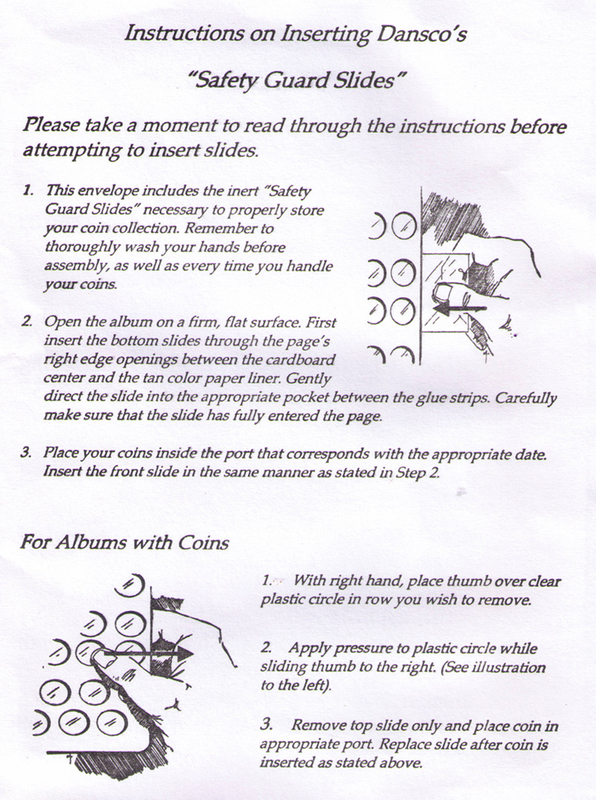 The best way to get the slides out of a Dansco Album so you can insert your coins is pictured below. First take your right thumb and push down on the far right port. While pushing down also push to the right. 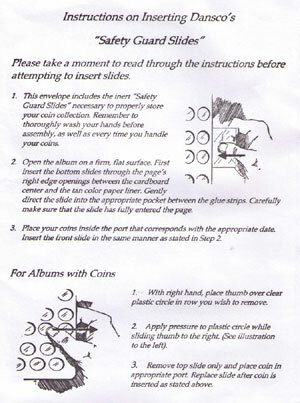 As you do this the slide will be visible outside the page end. At that point you can pinch the visible slide and pull it completely out or just enough to put in your coins. Feel free to click on this picture for a larger view. This is the slide pack from the statehood quarter album.